Exclusive interview for SPINOFF.COM with Louis Papaemmanuel, Director, Customer Relations at EU Startup Services Brussels, the leading EU funding consultancy for startups/spinoffs that helps to build an innovation strategy for entrepreneurs and to obtain grant financing with the SME Instrument. 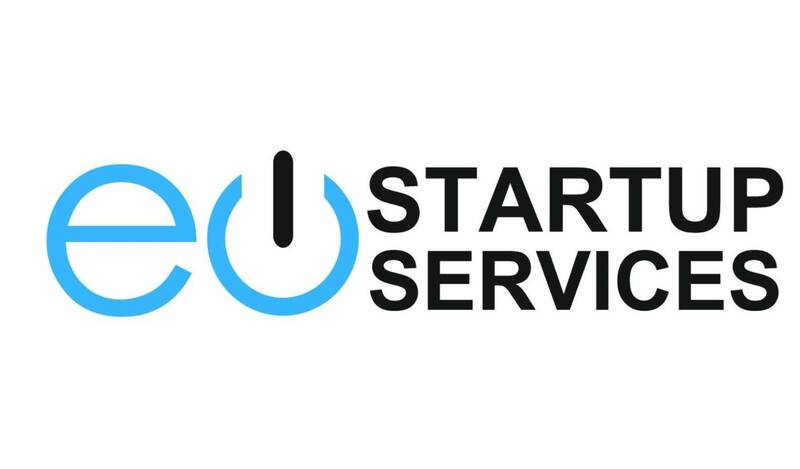 EU Startup Services (EUSS) offers consulting and project writing for startups/spinoffs who want to apply for EU funding on Horizon 2020 SME Instrument Phase 1 and 2. SOC: Mr. Papaemmanuel, thank you for dedicating your time to this interview. We would like to start with the overview of your company. Could you please elaborate on the story of its creation and the team? Mr. Papaemmanuel: EU Startup Services was founded shortly after the European Commission launched the SME Instrument, a €3 billion programme to exclusively fund start-ups and SMEs in Europe. The driver behind the Instrument came from the observation that while small and medium enterprises (SMEs) in Europe constitute 99% of companies in Europe, employing the great majority of the workforce, they had been excluded from the EC’s research and innovation funding programmes (framework programmes), which were largely dominated by other players, including large corporate R&D departments and traditional higher education institutions. Importantly, while Europe had largely invested in research and science, bringing new products on the market and creating new employment remained the real challenge. There were other factors which led to its establishment. First, while we could foresee that the start-up phenomenon would grow in Europe, the market for equity investment was lagging far behind the levels across the Atlantic. Second, the monopoly of innovation was starting to move away from traditional players and going more in the hands of SMEs, which are closer to the market. In many ways, we can argue that the rationale behind such a fund was in part a response to the economic crisis to invest in innovations that are closer to the markets, and hence in future jobs and growth while strengthening the EU’s global position in the start-up scene. Today, 4 years after its launch, the SME Instrument is the largest and most competitive non-dilutive grant scheme in the world. With €3 billion earmarked until 2020, the Commission will award approximately 7,500 SMEs with direct grants ranging from €50,000 for Phase 1 Feasibility Studies, and up to €2,5 million for Phase 2 Go to Market projects. With 3,200 small SMEs already funded, there are still 4,000 start-ups waiting to be selected. 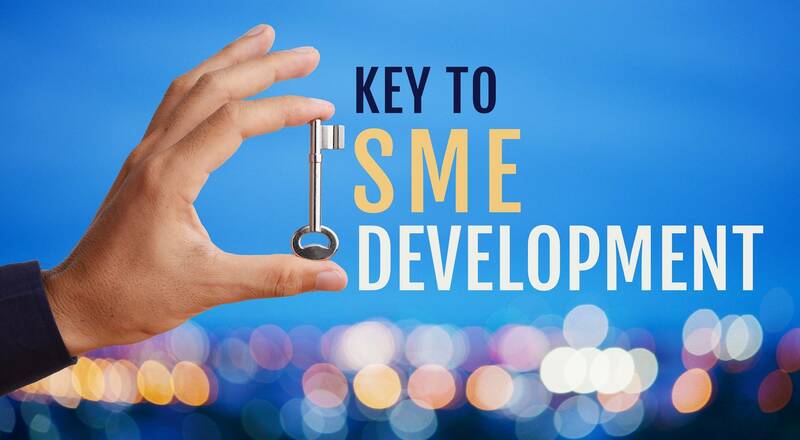 Unlike the larger players who have traditionally been very involved in European funding schemes and who have a track record in leveraging their internal resources and networks to compete at the European level, SMEs lack the expertise, resources and time to succeed in this field. We could, therefore, foresee that writing competitive grant applications would be a very professionalized industry. Today we are one of the most visible brands in this sector; we are working with start-ups from almost all member states and beyond. SOC: We know that you provide a variety of services to early-stage small and medium enterprises such as proposal evaluation and writing, patent assessment, data evaluation, workshops and of course EU funding. Could you please describe your services in more details? How does the process work? Mr. Papaemmanuel: Our service consists of scouting and selecting companies that are eligible and have a high chance of securing the funding and then we develop and handle the entire process of the application. We have the expertise and the track record because we know how to structure competitive proposals and we understand what candidates the commission is looking for. Our service begins here: picking the right candidates. To do so, we undertake extensive scouting and are present on all the major innovation platforms in Europe. We do have a focus on startups but the traditional SME's are also eligible. We can see that over the course of the SME Instrument, the focus has really narrowed down to funding start-ups – or young SMEs. Our research on the laureates of the SME Instrument in Phase 2 in 2018 demonstrates that the average years since incorporation is 6.4 years which suggests that is essentially more of a startup driven process. After selection, we invite the candidates to work with us. Once we have validated the data is there, we can make an application that is completely competitive and with high chances and high quality. Then we submit the application and, on that basis, we guide them through a process and offer supporting services when the grant has been awarded. SOC: We would like to talk about a grant financing. We know that it's the main service that you provide. Who are welcome to the EU Startup Services? Is there any privilege for specific industries or contraries or other criteria for project selection? Mr. Papaemmanuel: Good Question. First of all, it is important to note that there are no specific allocations of funding on the basis of geography or industries. From a sector perspective, there used to be a categorization of calls and pre-allocation of funding on the basis of different topics. This has changed and is no longer the case. Now any sector is technically eligible so long as it fulfills the basic requirements of a project, but from an eligibility point of view any candidate SME can apply. From a geographical perspective, the SME Instrument goes beyond EU-28 to include associate countries such as Israel, Turkey, Iceland etc. as well as other signatories and other participating members to the Horizon 2020 program as they have contributed to the budget and hence are eligible to apply. Yet, in terms of sectors, we can observe certain trends. We have done a considerable analysis on the candidates and on the laureates in Phase 2. There is obviously a lot more diversity in Phase 1 in what is being funded, first of all, because the number of projects is higher and because the requirements are lower in terms of data. In Phase 2, at the first cut-off date of 2018, we see that engineering and medical fields tended to prevail. Within medical fields, we include clinical trials, ICT for health and medical devices, and biotech as the process of certification is similar. The engineering has a range of key areas such as energy, manufacturing, but overall these are both science-based innovations. It is logical, in these sectors it easier to really measure what is the actual problem that is being resolved and provide evidence of how the innovation can address the problem and then measure the degree of which it improves that inefficiency. In other words, they tend to be less abstract and are more evidence-based. When it comes to the type of companies that are receiving the funding – and I'm speaking again about Phase 2 – we deduct that patents for intellectual property tend to play a role. This is why your audience of spinoffs will tend to do well as they have the intellectual property and are usually quite attractive for the commission because IP is one of the requirements. We can also observe that these companies tend to do well also in the equity markets. 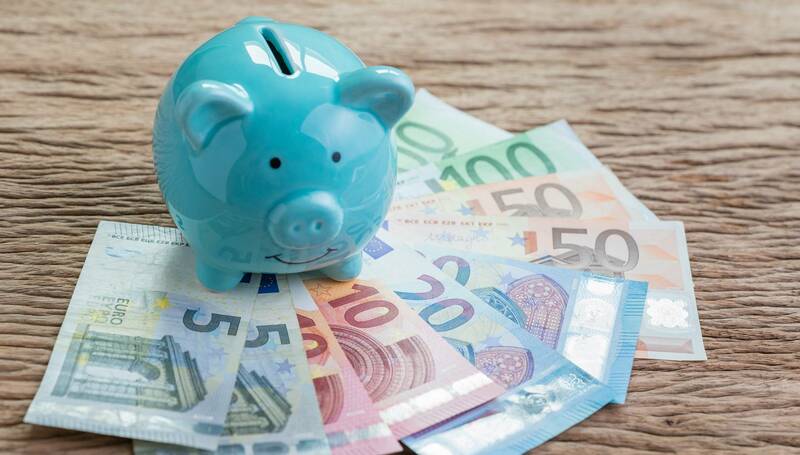 It's important to understand that the funding that is provided by the European Commission should not be seen as an end itself, and should be leveraged to secure funding from other sources. Of course, this is something that is fairly easy to do once a company secures such a large amount of funding, but ultimately, the EC will also evaluate your track record in entrepreneurship or in raising funds. The EC would also tend to look at your team because at the end of the day as they want to make sure that you have all the attributes to grow a company. If the candidate is composed of only engineers that have very little experience in business or in management or even organizational structuring, they will tend to face more complex questions and will have a harder time securing the funding in Phase 2. This is something that of course could be mitigated through planning. Yet, it is important to reach a mature stage in company development both from a technical perspective and as a company before becoming a serious challenger. This is something that is very important and we look at those elements when we select our candidates. SOC: Thank you for such a detailed explanation and we are slowly moving to the next question. As you know the core of SPINOFF.COM activity is a collaboration with the science startups called spinoffs that are mainly focused on improving people's life and health and may benefit the humanity. Could you please tell how is your company might be helpful to such companies as we have in our portfolio? Mr. Papaemmanuel: Our role is to identify those top-class innovators and innovations that the Commission is looking for and get them to apply with competitive applications. We tend to have a preference for science-based innovations because they have the understanding of the problem and the solution to that problem and much more evidence-based. Speaking of Phase 1 the typical requirement would be to evaluate what is the preliminary business plan and whether there is sufficient information to fill out our validated templates. We have a proprietary template, that we very rarely deviate from because it has been validated multiple times. In Phase 2 what we will be looking at is whether a candidate has the profile of a winning candidate, but also on whether it has the elements required to build a strong business plan, including the time to market gap, its development schedule and the documentation that it has, to be able to make a meaningful submission. It is important to note that it takes time to build the strong Phase 2 – and in many cases, it is a trial and error process until you get it right. During that process, our main job is to ensure that we can guide the company in providing the documentation that is needed. Once we have validated that point, we start drafting a proposal. When we identify a challenge, we tend to advise the company to work on certain elements, to reinforce the case; this can be small details such as supporting letters etc. but it can also be taking larger steps which may include submitting a patent of assessment or identifying a partner to reduce structural weaknesses such as high subcontracting costs. Our work goes way beyond simply writing the proposal. We actually tend to also advise our customers from a strategic point of view what are the elements needed to make a stronger case, and to refine their strategy as they go along. For some companies, all those steps have already been made prior to the submission. For many others, some of the elements required are not all there, even though the candidate itself is very good. We advise the company on the positioning that needs to be taken and the steps that need to be taken from a validation point of view to have a strong submission. 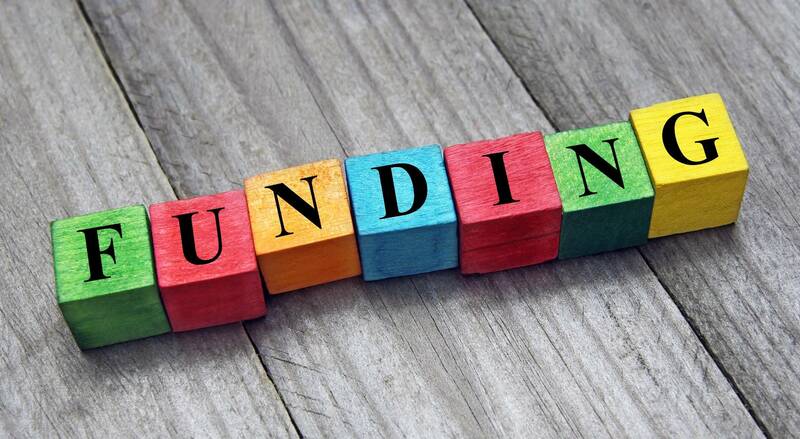 SOC: We are wondering if there are main requirements a startup/spinoff company needs to correspond in order to receive your services and to obtain grant financing with SME Instrument, one of the most popular European funding? Mr. Papaemmanuel: From a requirement perspective what we are looking for is a good business plan. The innovation is very important itself, but this is not the biggest challenges we're facing. Startups have very different ways of planning their road to market. In some cases, you have a very strong documentation. This usually applies to the companies that are operating in the medical field. In most cases, this is not how companies work, however. Today less and less companies tend to take the time to draft such a document. This is the first hard requirement. Following that it has to do with the innovation itself and the team behind it. The commission will also be looking at that. We have certain criteria that we are looking for and we can see already that from the first results in 2018. Essentially, we are looking at the different aspects of a company: team size, track record, management, experience, types of previous funding that have been secured in the past. SOC: During our conversation, you have mentioned that recently Horizon 2020 work program underwent certain changes in obtaining grant financing for SME's and startups. Maybe you can briefly elaborate on what are the main changes entrepreneurs and founders of startups/spinoffs will need to know. Mr. Papaemmanuel: This is true. On the one hand, there have been some simplifications. For instance, the commission has abolished the topics and the allocation of specific levels of funding according to the sectors in which they are operating. On the other hand, and above all that, there has also been an overall reflection about the direction of the SME Instrument. Before, going through the changes, it is important to note that the European Commission has been very good in designing and managing a process where more and more applicants would be participating, sometimes involving over 1.5-2 thousand submissions 8 times a year and ensuring that the evaluations are finalized within 4-5 weeks after submission. The pace is remarkable and we have to give them the credit for it. To do so, it has enlisted the help of independent technical evaluators from different backgrounds and levels of expertise either from a sectoral point of view or from a business point of view. Until 2018, the evaluation would only rest on technical evaluations. A candidate would submit an application which would be sent to four evaluators who would be tasked to review them. Taking the numerical average of all four evaluations would then determine its overall ranking, and should the proposal be ranked at the top, the candidates would automatically receive funding. As all processes, however efficient, it has limitations. While all these proposals were undeniable of high quality, considering the high number of applications, the European Commission could not know on the basis of such a blind process whether or not the funding was really attributed to the best candidate. At that level, the difference between a proposal which scored 14 and another which scored 13.9 is insignificant – and yet, one would prevail over the other. Today, the Commission created a new facility called, the European Innovation Council (EIC) to the group and align the different grant schemes targeting top-class market–driven innovators – such as the SME Instrument – along with support services and other prizes, designed to operate much like a VC-backed accelerator. The EIC is in a way mirroring the European Research Council which was established a decade ago to fund frontier high-impact and high-risk research, which has awarded many eminent scientists and scholars including Nobel prize holders. In the process, they have also re-aligned the way in which the candidates are evaluated in an effort to make the process more intelligent, by appointing a board of jury members selected from the world of entrepreneurship including VCs. In the process of selecting the candidates who are then admitted in Phase 2, EASME now invites shortlisted candidates to Brussels for 30 minutes pitching session. To overcome the challenge identified above, the EC shortlists twice as many candidates as there is funding available per cut-off date (roughly 120 per cut-off) – but only 50% of them will receive the funding on the basis of the pitch. Those that fail, will be offered extensive feedback as to why and will be invited to reconsider applying at the next cut-off. During the Q&A that follows the pitch, the focus will be much more on the company (team), the product and the commercialization plan rather than the actual project itself from a technical perspective. They are more interested in your track record, whether you can make it as a start-up and the impact created on the market rather than the technicalities of the project design and implementation. These changes significantly affect the type of beneficiaries and the overall spirit of the SME instrument. In fact, we conducted a deep analysis by tracking all the beneficiaries of 2018 in Phase 2 – first by defining a list of independent variables which when combined enable us to gain a clear picture of the start-up (ranging from investment, team size, years of incorporation) and then tracking the beneficiaries across all of them. The process has enabled us to observe trends – at least regarding the first results of 2018. One of them, I've mentioned before, is that more than 50% of projects are either engineering or in the medical field. We can see that the average year of incorporation was 6.4 years. We could see that usually, the great majority of candidates had already a track record of at least 1-2 million in private funding and in public grants. Down the line, it's a logical deduction that if you've already convinced people to give you money for your project, you will have higher chances of convincing the jury panel too. We could also observe that team size tends to be between 12 and 20 people in the startup. I think this is for two reasons. On the one hand, candidates must convincingly demonstrate their ability to absorb such a large grant efficiently. In some cases, we have advised our customers, to delay the implementation to recruit the staff that is needed to carry it out because once the project is awarded the clock is ticking and the execution time is short. On the other, I referred to it before, is that the jury members will be looking at whether the candidates have all the skills of their team in order to grow a company. They will be looking at you as an entrepreneur, your track record, your ability to manage a company. We could see that Phase 1 funding is an important part, yet only 38% of candidates had actually been through the Phase 1. These are the major trends. When we examine candidates we are also looking at that. SOC: Thank you for such comprehensive explanation. Now let's talk about mistakes and how to avoid them. It is not a secret that the spinoff founders have not enough experience in starting the company and they might feel vague at some stages. We know some examples who failed to receive the certain grant financing. Which advice and warnings you might give them in the sphere of your activity? What mistakes or issues they may avoid cooperating with EUSS? Mr. Papaemmanuel: I don't know if these are mistakes, but if you sign up for an application to the SME Instrument, your determination will be a major factor in your path to success. Very often there is an undervaluation of the time, effort and the depth of data needed to actually win. It's not an easy process. This is one of the most competitive grant schemes in the world. In addition, the involvement of the management team is very important. This is not to be allocated to a junior project manager who’s been at the company for 6 months. You will very often fail to provide a sufficiently detailed information. And note that for a consultant it can take up to 2 months full time to get there, often requiring multiple submissions. Keep in mind that you are competing with candidates who may have been refining and resubmitting their applications several times which inevitably makes them more competitive. This is my strongest advice. SOC: Money is a critical issue for the rising companies and spinoff founders take into account all the expenses. One of the expected questions from them is your services cost and whether they might receive certain discounts from your company and under which terms if so. Mr. Papaemmanuel: We are flexible as to how we function with companies on the basis of what they have and how much work has to be put in. The point here is to have a submission and this is what we're looking for. We demonstrate flexibility because what we are looking for is securing the funding. We don't want to have a barrier to entry which cannot be overcome. We are looking to have a meaningful partnership together and work together to secure the desired funding. We would like to express gratitude for the time you have dedicated to this interview. 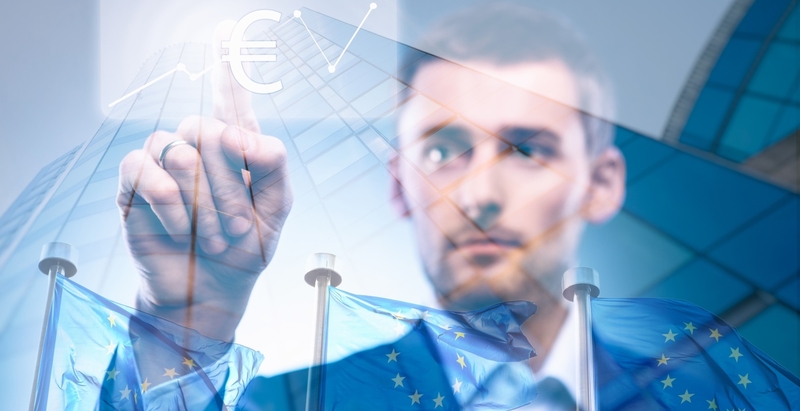 SPINOFF.COM is happy to have such professional and experienced partner among the syndicate members and to introduce EU Startup Services to the spinoff founders worldwide, so they may benefit to obtain grant financing and other financial gains for their disruptive technology development. Looking forward to mutual cooperation for the benefit of science spinoffs and young companies’development.